You want to change template your Blog to look it more impressive, beautiful and attract visitors. 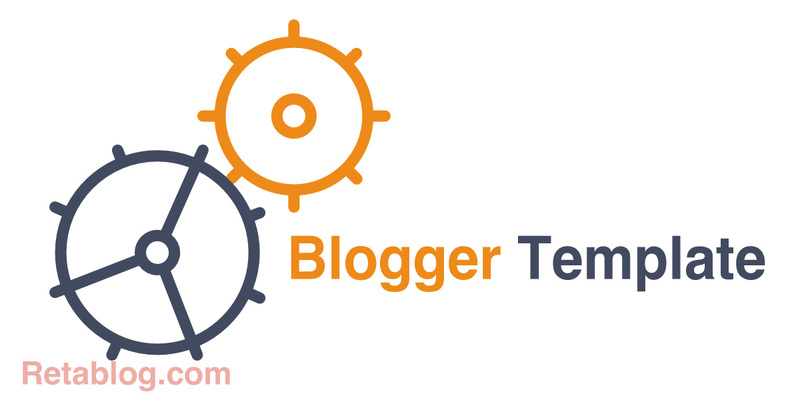 Today, I will guide you install or upload Blogger Template step by step. 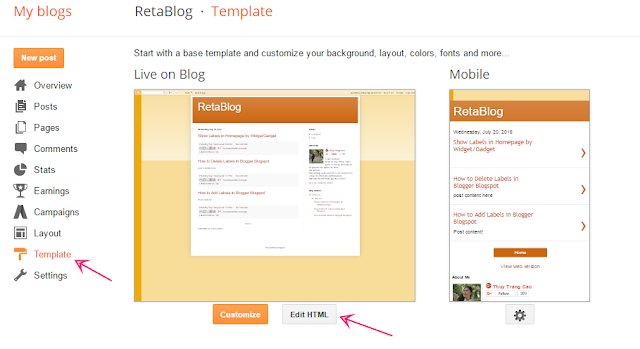 Very simple and fast, in just 5 minutes, you've got a new template for your Blog. 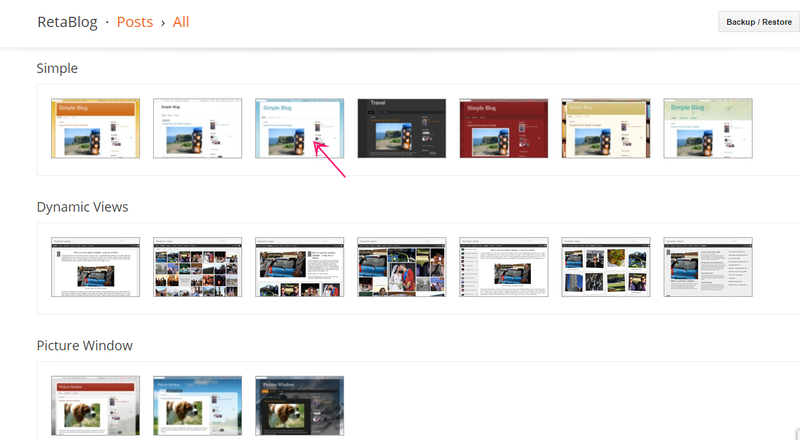 Templates: Simple, Picture Window, Dynamic Views, Awesome Inc.. 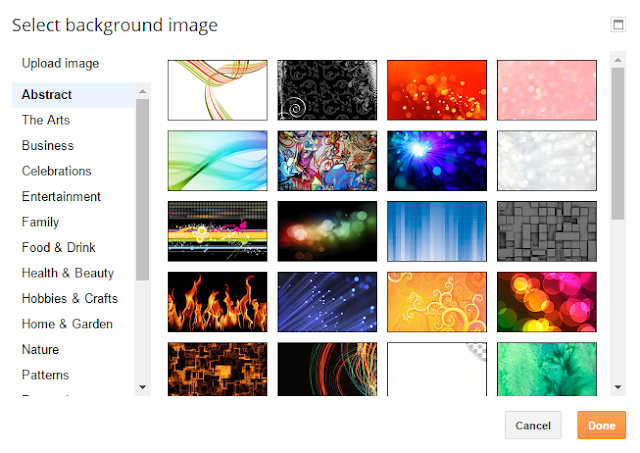 Layout: Layout in Blogger to add, remove, edit or rearrange the gadgets. 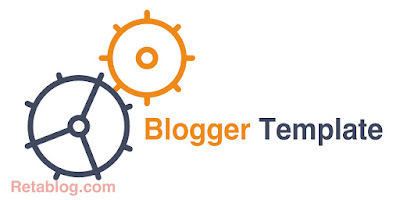 Blogger is very great! right? If you do not have time and do not understand the programming. For your website / blog to look professional and beautiful than you can buy or use free Blogger templates (also called Template) has been designated. For example, you can refer to All Templates at www.Retajob.com. Nice interface and cheap price! Let’s go to homepage and see results! 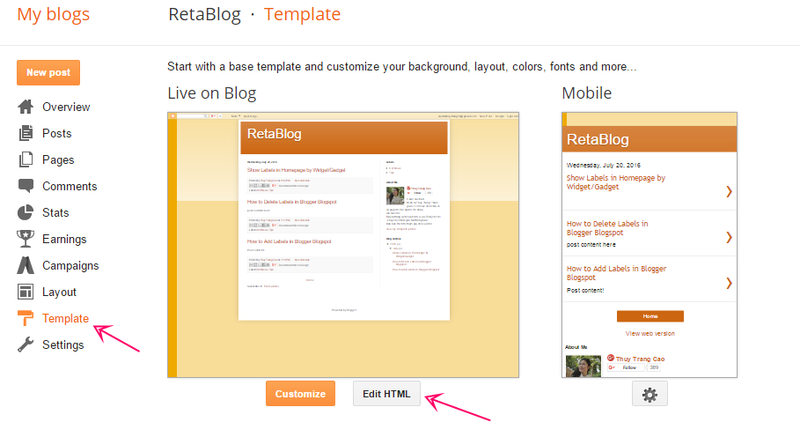 - Go to Your Blog >> Click on “Template” >> Click on "Edit HTML". 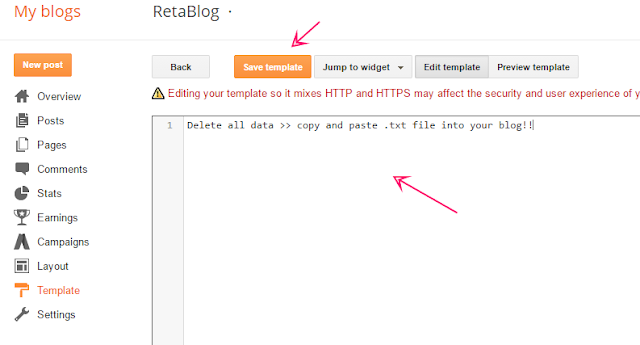 Delete all data contained in your blog, copy all data from a .txt file and paste it into your blog. 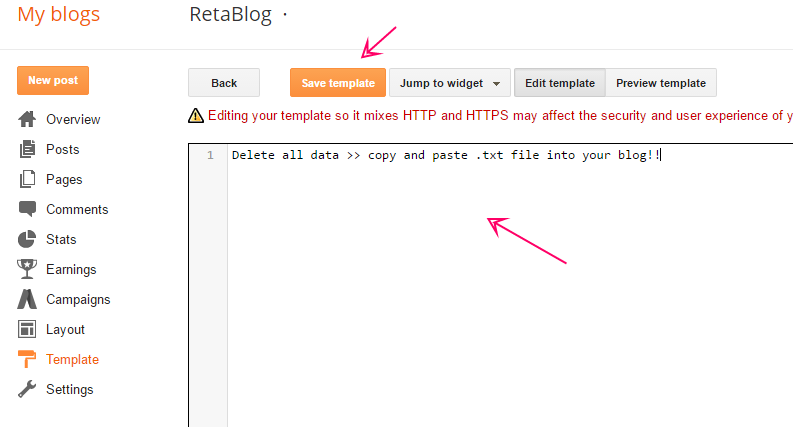 Then "Save Template" and to review your blog.